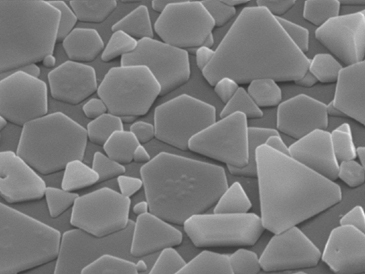 Silver Halide Crystals, seen here under and electron microscope, are the basis for photosensitive emulsions. Light, acting as a form of energy, creates localised changes to these crystals. Silver atoms are formed and create a latent/hidden image. This is then revealed by the use of chemical developer. It is this process that allows for exposures that last for only a fraction of a second. 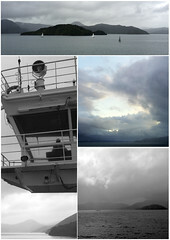 With enough time the latent image can eventually be seen by the naked eye. 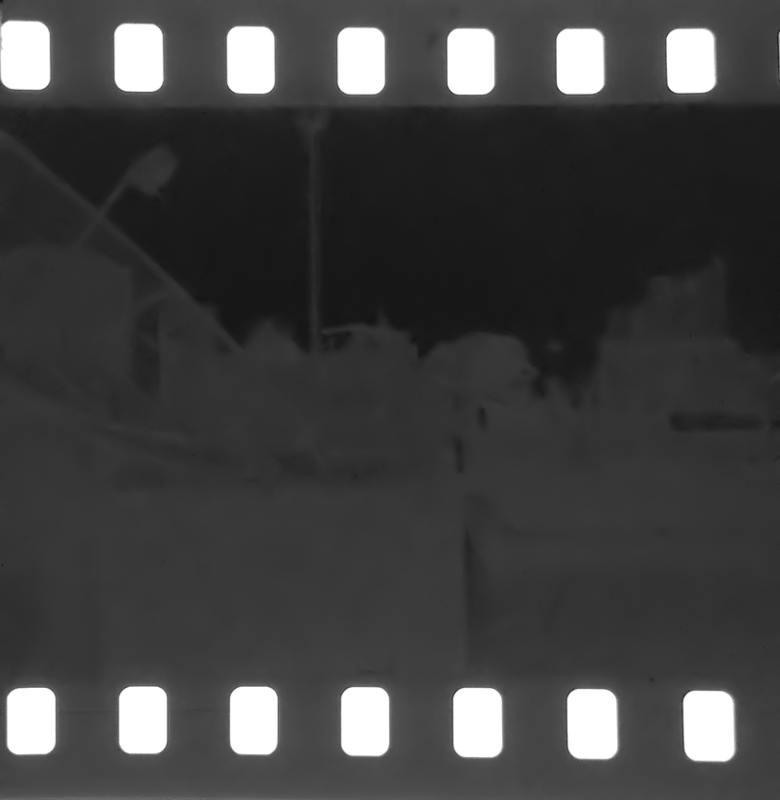 This is a modern-day roll of film exposed to an image for a couple of days. The developer allows this process to happen in the dark room and means you don’t have to stand around with your camera for several days. And that is exactly what had to happen for this photograph to be created. 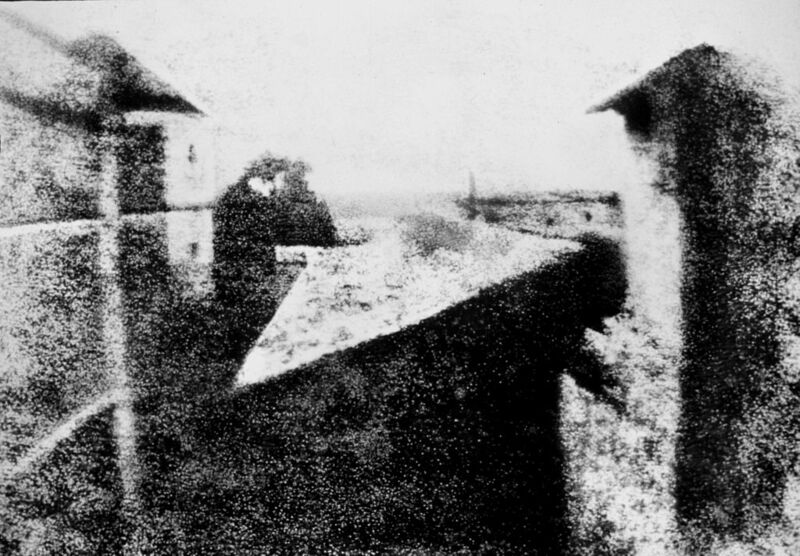 It is ‘View from the window at Le Gras’ and was taken by Nicéphore Niépce in 1826/7, it remains as the earliest surviving camera photograph. This would of been exposed to light over several of days. One of the main advances in photography over the subsequent years was the ability to capture an image in a fraction of a second. 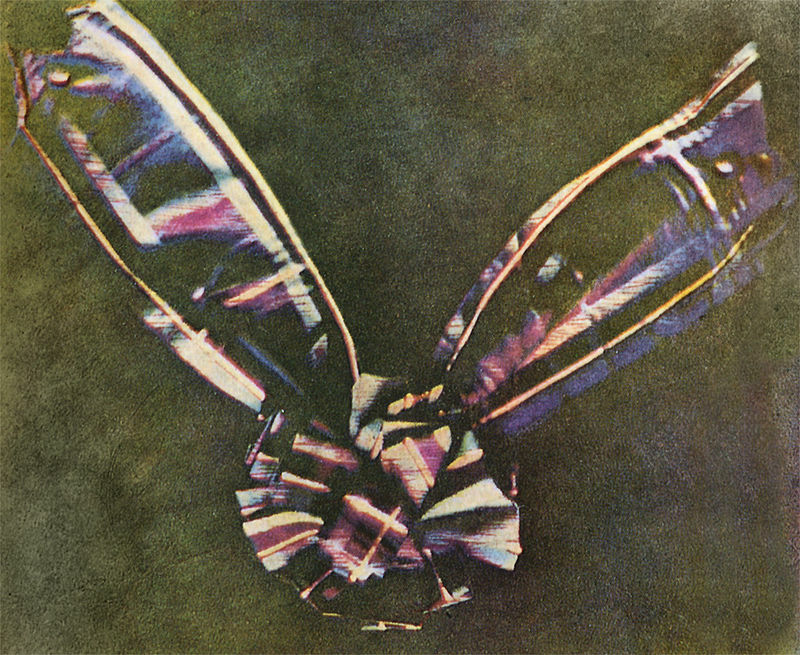 Just over ten years later Louis Daguerre, with his metal based process, had reduced this exposure time to minutes rather than days. 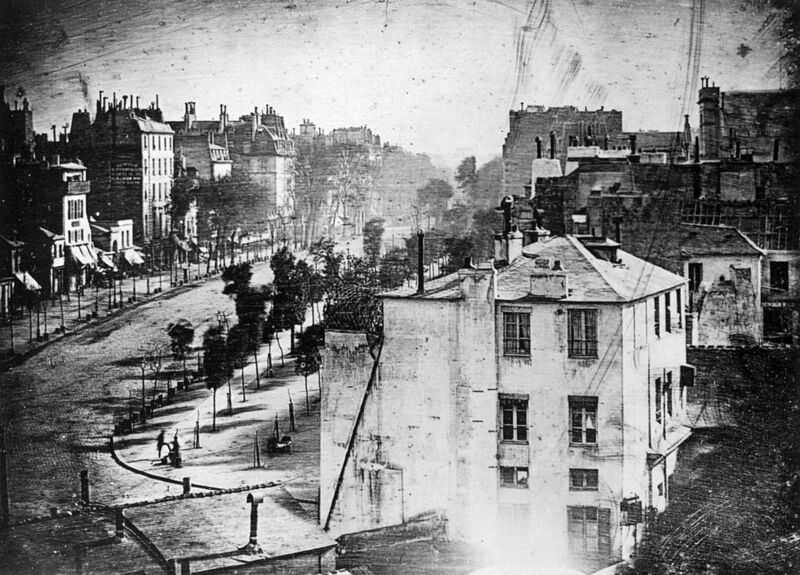 His photograph, ‘Boulevard du Temple’, taken in 1838, is generally accepted to be the earliest photograph to contain people. On the street below you can see a man getting his shoes shined. This meant he stood still long enough so that the light (or lack of light in the case of his silhouette) from his figure registered an affect on the silver halides in Daguerre’s camera. The traffic on the other hand, and presumably other moving people, remain invisible. If only they had known the immortality that awaited them had they just stood still! As early as 1861 there was advances in colour photography. Here is The first durable colour photograph, taken by Thomas Sutton in that same year. 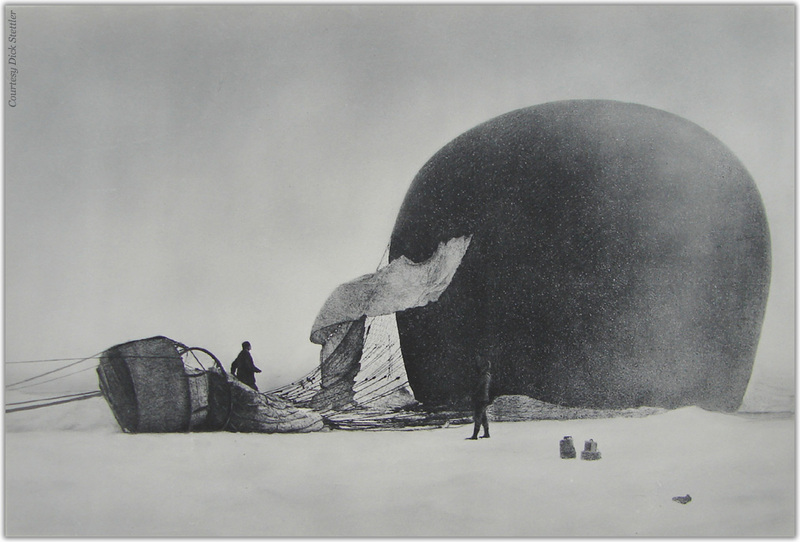 An amazing photograph from the failed balloon expedition, to the North Pole, of S.A Andrée in 1897. The negatives were recovered over 30 years later and developed to shed some light on the mystery of this doomed expedition. This is a great example of how the latent image can remain in the crystals for a very long time. Another important development in the history of photography was the development of the SLR camera which allowed the photographer to see exactly how the photo was composed by using a system of mirrors that allowed the image coming through the lens to be seen. 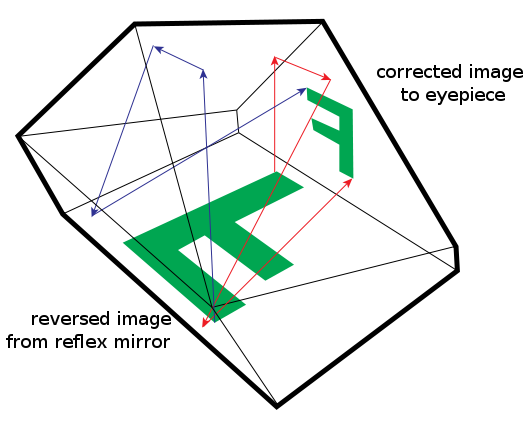 Here is a diagram of a pentaprism, one of the most important components in an SLR, showing how the horizontally and vertically inverted image that is transmitted through the lens unit is corrected, allowing the photographer to see exactly how the photo is composed. Rectaflex. 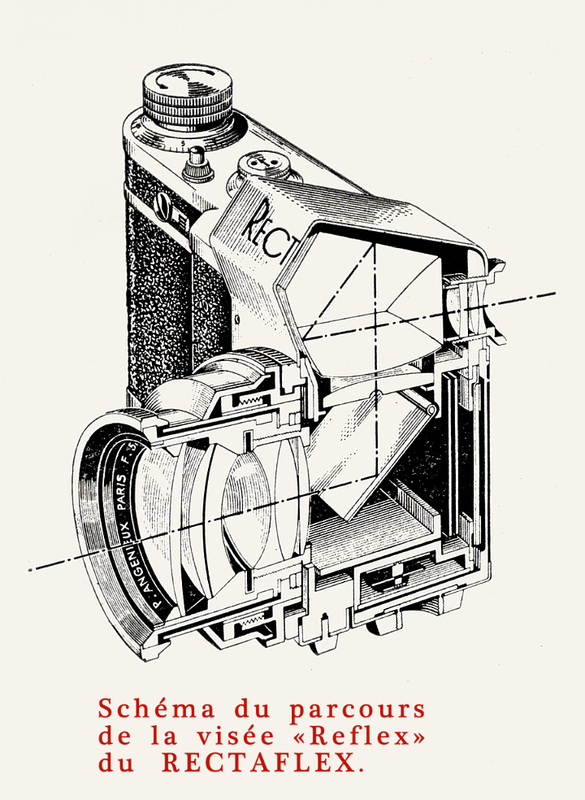 This is the first pentaprism SLR camera. It went on sale in 1948.